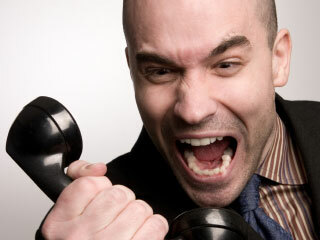 Why Do You Need a Conference Call Line? A big problem in the conference call industry is when the PHONE COMPANY has a capacity problem because of weather, peak-calling times, or someone else's huge teleseminar event -- and your callers get a fast-busy. . This actually happens a lot. Welcome To The Call is the only conference call company that provides a geographically distant backup number, and an emergency "alarm will sound" number. But Welcome To The Call addresses this problem two ways. Ever get dropped from a call? 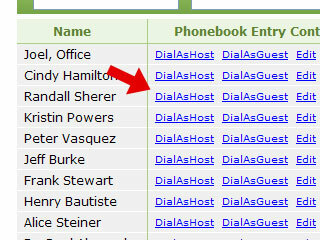 Welcome To The Call always lets hosts dial-in -- no matter how full your call is. 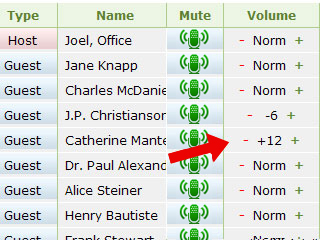 With the Welcome To The Call control panel you can clearly see who's muted, and who's not and you can also see which conference-mode you're in... Interactive mode, where guests can talk, or Lecture mode where guests are muted -- and you can switch between modes with a single mouse click. 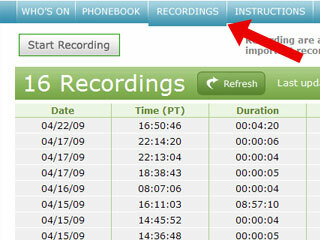 Welcome To The Call' recording interface could not be easier. And we never overwrite recordings. 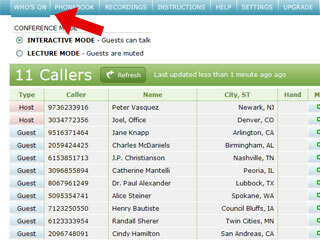 Welcome To The Call uses a simple and elegant web interface. And we never overwite recordings. Just click 'Start Recording' and you're recording your call. 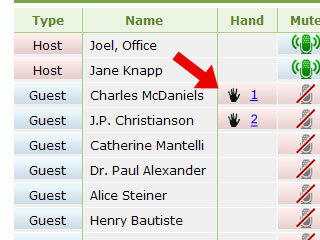 When you click 'Stop' your recording stops and it appears right here, ready for you to use. How simple is that? So as you have seen, Welcome To The Call is simple and easy. It's powerful. And it gives you peace of mind. With this selection of features I believe Welcome To The Call is credibly the best conference call system in the world for the vast majority of conference call users.